Circle-Of-Two State of the Alliance Leaked! 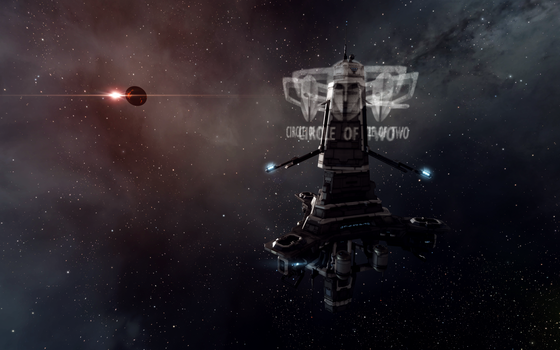 A State of the Alliance (SOTA) meeting was held yesterday in the wake of the recent theft of assets and liquid isk from Circle-Of-Two. The audio recording of the meeting was released. The meeting spanned nearly 45 minutes. Overall, the tone was that of an alliance in shock, not surprising, given the events of the past two days. gigx, Executor of CO2 spoke on several topics, including the unresponsiveness of The Judge to gigx’s attempts at conversation, gigx’s banning, and plans going forward. It’s no surprise that The Judge refused to discuss the recent events with gigx both in-game and on Discord. The Judge did make his stance clear in other venues, including Reddit and CO2 Alliance chat, which he streamed on Twitch. It was in that same Alliance chat that gigx said regrettable things which have gotten him both a personal ban, tied to his actual person and all characters he may own, as well as an IP ban. Initially, during the meeting, gigx downplayed his reaction, but later admitted wrongdoing and showed remorse for his mistake, one that he hopes to rectify as he appeals his ban. Others in the meeting, presumably CEOs and directors of the alliance, were supportive. They expressed intentions to petition for the ban to be lifted, citing a similar circumstance with The Mittani 5 years ago with an incident which also resulted in a permanent ban, and was later lifted after apologies were made. gigx stated that he regretted his trust of The Judge. More than once he blamed himself for trusting The Judge as completely as he had, saying that the entire situation was ultimately his own fault. gigx also expressed concern for the line members of CO2, saying that more than betraying him personally, The Judge betrayed every member of CO2 by putting them in this situation. Where will CO2 land next, now that they have been cut off from their home citadels? The plan going forward is one of patience. Gigx and alliance leadership encourages their members to keep calm for the time being as a plan for relocation and rebuilding is developed. Options include relocation to lowsec or NPC nullsec after asset safety timers expire, but, even there, patience is encouraged. Currently, members are being directed not to undock and lose ships, not to firesale, nor to enact asset safety in the absence of a solid plan for rebuilding. One speaker encouraged line members to be extremely wary of assistance offered by TEST, as they are not to be trusted in this situation. It is suggested that they might trick capsuleers into undocking expensive assets just to have them end up on a killboard. After mentioning that he knew some corporations would likely leave the alliance over recent events, gigx promised that if they did so in a forthright manner, they would be welcomed back into the fold at a later date if they chose to return. The meeting ended on a high note, with countless voices praising Gigx for staying with the alliance and attempting to dig CO2 out of the hole they now find themselves in. We will be keeping an eye on the situation and continue to report as more information emerges. This has been Moon Moon Burdy for Eve News24. on this, what if you were to write a killer headline? related pic or two to grab readers excited about everything’ve got to say. this post is genuinely a good article, keep it up. I was very pleased to discover this great site. I want to to thank you for your time for this wonderful read!! I definitely appreciated every little bit of it and i also have you saved to fav to look at new stuff in your website. Hi there, There’s no doubt that your website might be having browser compatibility issues. Whenever I look at your blog in Safari, it looks fine however, if opening in Internet Explorer, it has some overlapping issues. I just wanted to give you a quick heads up! Other than that, excellent blog! Greetings, I believe your site may be having internet browser compatibility problems. When I take a look at your web site in Safari, it looks fine however, when opening in I.E., it’s got some overlapping issues. I simply wanted to give you a quick heads up! Aside from that, great site!